Hi guys,i want to know how is good sue the elemental set in the guild raid. We have a lot of element monster on raid. Now my question is,element is better than a huge gs with a good equip in the guild raid? Thanks for the answer. 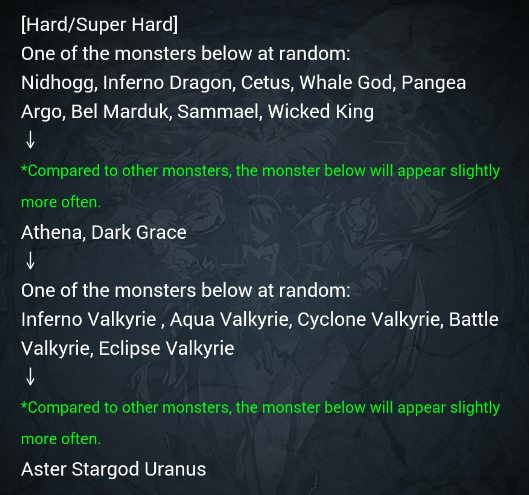 Yes, element is going to be better than gs in the higher difficulty raid monsters. They already wipe out the team in 1 hit and if you have enough elemental defense, you might be the one who survives. Also with enough elemental attack you'll deal massive amounts of damage more than someone who doesn't but has ~150k+ more gs than you. The only issue I have with element equipping for raids is that they aren’t all one element so it’s hard to plan for. This first monster may be fire, but the next will be wind, and the next dark... and you can’t re equip in the middle of battle.... my strategy is trying for a decent balance of elements. Don’t try and focus on one. But shy away from armors that have none. This set of raids is all Dark element. It says so in the notice too. Last edited by niconutela; 03-11-2019, 01:31 PM.